Crown Princess Victoria and Prince Daniel are designing an exclusive collection for H&M | HELLO! Princess Victoria and Prince Daniel have teamed up with H&M! Mother, wife, future Queen and now fashion designer! 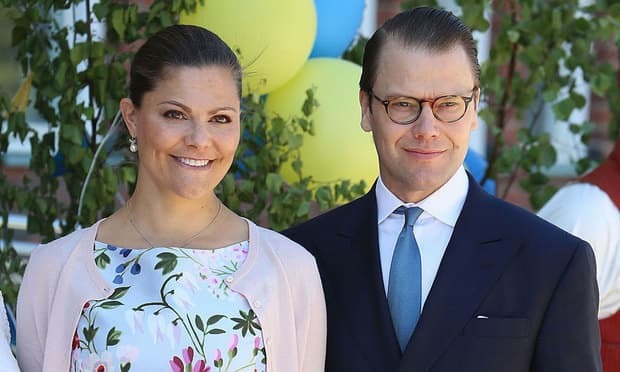 Crown Princess Victoria of Sweden has officially added a new title to her royal resume following the news that the 39-year-old and her husband Prince Daniel have teamed up with H&M for a good cause. Victoria, who is a fan of the high street store, joined forces with the Swedish brand to design a clothing line in partnership with her and Daniel’s initiative GEN-PEP. The non-profit organization works to raise awareness and get individuals involved in promoting the health of children. Former fitness instructor, Prince Daniel, launched Generation Pep back in July. More recently, he and Victoria got renowned physicist Stephen Hawking involved in the initiative during their autumn visit to Cambridge. The collection, which launches both in store and online January 2017, was designed with “laser-cut star graphics with silver and reflective details on all garments” and consists of clothing, shoes and accessories. Victoria has worn H&M on a number of occasions, including the recent 2016 Nobel Prize Banquet in Stockholm. The Crown Princess wowed at the December 10 event donning a one-shoulder custom H&M gown.